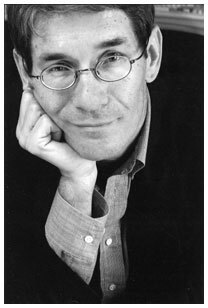 Michael Dirda is the winner of the 1993 Pulitzer Prize for criticism. His most recent On Conan Doyle, won the 2012 Edgar Allan Poe Award from the Mystery Writers of America as the best biographical-critical book of the year. He is a book critic for The Washington Post, and was an editor and writer for The Washington Post Book World for more than thirty years. His work ranged from writing reviews of literary fiction, intellectual history, children's books, science fiction and fantasy, mysteries, poetry, and biography, to features and personal essays about books and writing for the Book World column, "Readings." He also writes frequently for The New York Review of Books, The Times Literary Supplement, The Weekly Standard, The Wall Street Journal, The New Criterion, The Virginia Quarterly Review, The American Scholar and other publications. He is a member of The Baker Street Irregulars, The Science Fiction Writers of America, The Mystery Writers of America, The North American Jules Verne Society, The Ghost Story Society, The Friends of Arthur Machen, The Lewis Carroll Society of North America, and The P.G. Wodehouse Society. A Fulbright Fellowship recipient, he received his bachelor's degree in English from Oberlin College and his doctorate in comparative literature from Cornell University. He is the author of a charming and useful pamphlet, Caring for Your Books, which was published by the Book-of the-Month Club in 1990.